DC Design has come up with a brand new custom job for one of India’s most popular compact SUVs – the Ford Ecosport. The mod job makes the Ecosport really stand out. Here’s everything you need to know about DC’s latest. The Ecosport in question gets a electric blue paint job, the likes of which not available from Ford. The front end has also been tweaked to give the SUV a futuristic look. LED turn indicators and pilot lamps sit beneath all that aggressive body work while the headlamps have been shifted to the bumper. To make up for their smaller size, DC has added four projector headlamps, two on each side of the front bumper. The grille is also new, with a honeycomb mesh adding to the stealth look of the custom vehicle. Aftermarket alloy wheels and a black floor band are the major changes to the vehicle’s profile. 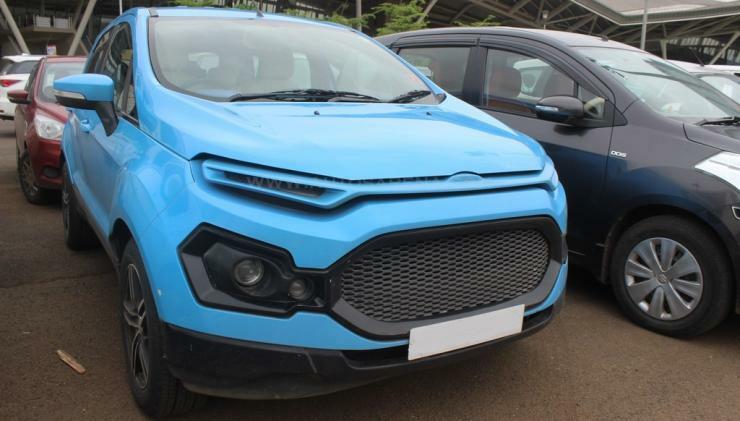 At the rear, the custom-built Ecosport gets a revised bumper while the spare tyre cover has been done away with, showing off the aftermarket alloy wheel. On the inside, changes are limited to panels and wood trim finished in the electric blue shade that the exterior features. The seats get beige leather covers. 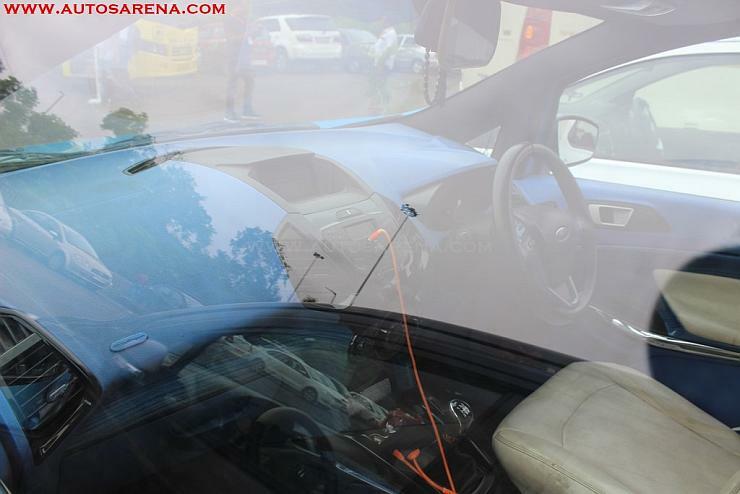 DC Design usually leaves the engine alone, and this is perhaps the case with this Ecosport customization as well. In stock form, the Ecosport is available with 3 engine options – a 1.5 liter- 4 cylinder naturally aspirated petrol, a 1.0 liter-3 cylinder turbo petrol and a 1.5 liter-4 cylinder turbo diesel. The naturally aspirated petrol motor gets 5 speed manual and 6 speed twin clutch automatic gearbox options while the diesel and turbo petrol motors make do with 5 speed manual transmissions. 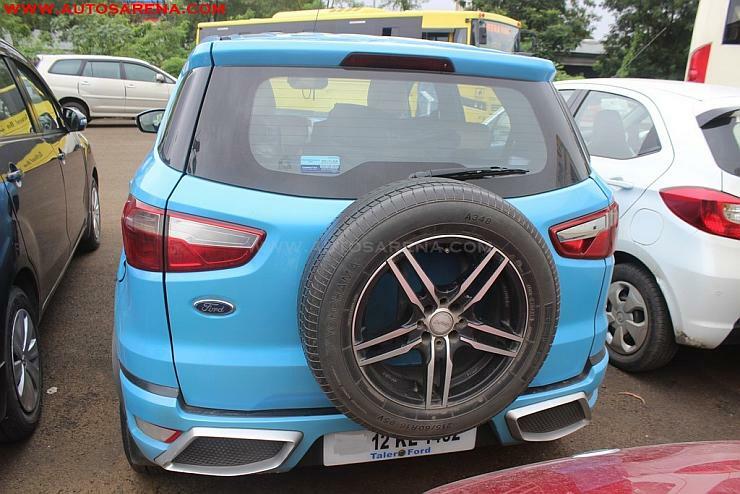 The Ecosport sold in India is front wheel driven. The Ecosport is due for a mid-life facelift in India, with the new model expected to arrive within the next couple of months. While the facelifted model will get cosmetic changes and feature additions, engine and transmission options are expected to be carried over from the current model.